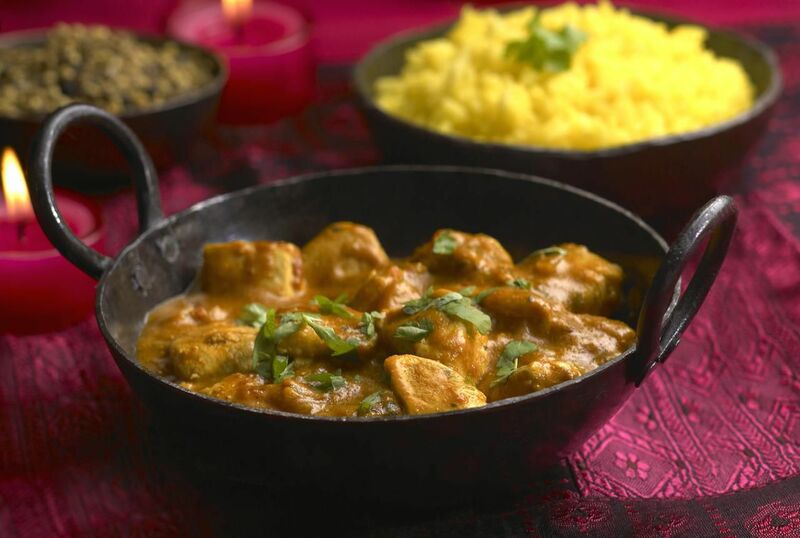 When many people hear the word "curry," one of the first things that come to mind is Indian cuisine. If you are feeling adventurous in the kitchen, then you should don an apron and give the curry a try. Although there are other curry dishes from other parts of Asia and the Caribbean Islands, take a look at a few popular Indian curry recipes. Even if you have never cooked Indian food, do not be discouraged. As long as you can get your hands on some of the main spices, like garam masala, cumin, and turmeric, you can make these dishes. Here is just a small sampling of recipes for you to try. And remember, curry does not have to be spicy hot. You are in control of the sizzle. This is the most basic chicken curry recipe and it's also one of the tastiest. Serve chicken curry with hot chapatis (Indian flatbread) or plain boiled rice. Maharashtrian chicken curry is made with coconut milk, a staple of Maharashtrian cooking. Maharashtra is located in the western region of India. Mumbai is the capital. The cuisine ranges from mild to spicy. Serve this with rice and a green salad for a main course or as a simple side dish. The kofta curry (meatballs) in this dish can be made with beef, lamb, or chicken, garlic paste, and garam masala. They make a great meal when served with jeera rice and kachumber (cucumber) salad. Fish kofta curry is fish balls in a thick gravy that can be served as a lunch or dinner main course. Serve it with a green salad or vegetarian side dish. Do not let the long list of ingredients or instructions fool you. 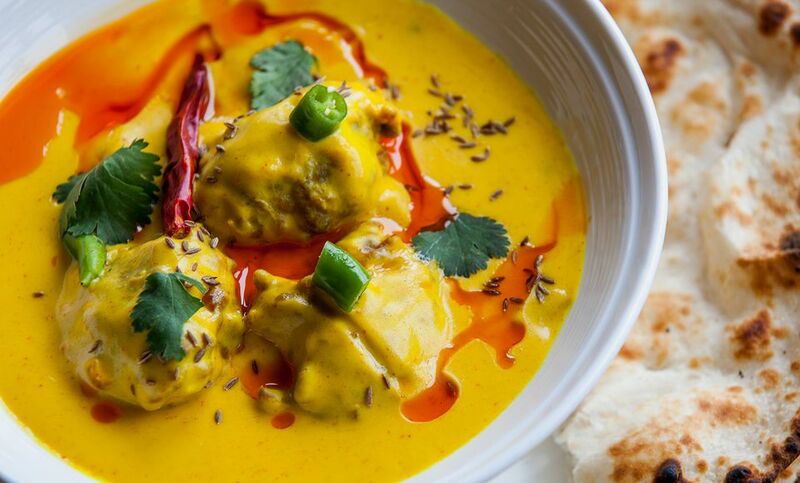 Fish kofta curry is worth every minute you spend making it. Madras lamb curry has a reputation for being a fiery dish but no such curry is traditionally made in India. Actually, this popular dish is a Western version of how meat curries are thought to be made in south India. This recipe shows you how to make it using traditional south Indian spices. Along with rice, fish curries are staple foods of Goa, the smallest state in India. Goan curries are usually tangy and spicy. Tuna tastes especially good in Goan fish curry but you also can use any fish that has a firm white flesh. A traditional fish curry—one that can broadly represent India—is one that incorporates eastern and northern Indian culinary influences in its ingredients. Try this dish alongside some piping hot plain boiled rice. South Indian fish curry, also called meen kulambu, has a pleasant tanginess that will make you want more and more after each bite. The tamarind in this gravy-based fish curry gives its tang. It really goes really well with plain boiled rice—the way it is traditionally eaten. There are several different styles for making anda, an egg curry, and this recipe is North Indian in origin. What's great about this recipe is you can make the curry sauce in advance, freeze it, and thaw it when you want to add some hard boiled eggs to the dish. You can eat it for breakfast, lunch, or dinner. It can go well with a vegetable side dish and rice. There are as many recipes for making chole, a chickpea curry, as there are households in north India. Serve this crowd-pleaser piping hot and accompanied by pooris or bhatooras, fried Indian flatbreads. Rajma dal, a red kidney bean curry, is extremely popular not just in north India but throughout the Indian subcontinent. Serve rajma with plain boiled rice, kachumber salad, and your favorite pickle.